YES—The opera/operetta and art song/oratorio contests are separate competitions, judged independently, requiring two application forms and two fees, but all materials may be sent (or emailed) together (or separately) as you wish, by the extended deadline of March 10th. Only the Chicago Musical Theater Award requires video and has an earlier deadline of February 17th. The opera and/or art song contests may be audio or video, as is your preference. YES—you may submit materials at two separate times, if you wish. You can send recordings (or links) for the Chicago Musical Theater Award (including applications and fees) by the February 17th deadline for the musical theater award and send the rest of the recordings (for the art song and/or opera contests) later. Just be sure everything else you are submitting is postmarked by the extended deadline of March 10th. YES—you may mix formats. The audition materials for the Chicago Musical Theater Award must be video (on disc or by sending online links) but the recordings for the other contests (opera/operetta, art song) need not be. They can be audio recordings. REMEMBER—the Chicago Musical Theater Award is an additional opportunity for those who live within driving range of Chicago or can make their own travel and housing arrangements. It is judged separately from the other contests, and is not a required part of the competitions. If you wish to apply for the opera/operetta and/or art song/oratorio prizes and not for the music theater award, you can certainly do so. The American Prize has recognized four members of its national panel of judges for five years of continuing service to the organization. "We are grateful for the time, expertise and enthusiasm these four musicians have displayed since the competitions were founded," said David Katz, chief judge of the national nonprofit competitions. "Their belief in The American Prize idea, unbiased evaluations and thoughtful commentary to applicants is part of the reason The American Prize is recognized as a unique and valuable resource for performing artists across the country." 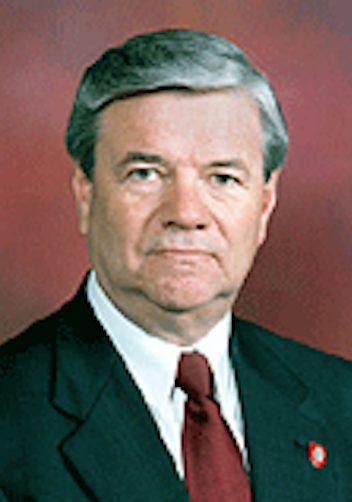 Leonard Atherton (instrumental performance, conducting) joined the Ball State University School of Music Faculty in 1982. Now retired, he is Music Director Emeritus of the Muncie Symphony Orchestra and former director of the Ball State Symphony Orchestra and conducting teacher. 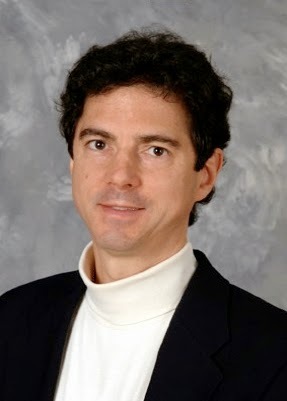 Atherton has held music director positions among which are the Niagara Symphony Orchestra, the Greater Boston Youth Symphony Orchestra and the Young Artists Choral Program of the Boston University Tanglewood Institute, the National Symphony Orchestra of Bolivia and the University of Pennsylvania Choruses. He has appeared with the Minnesota Orchestra, the St. Paul Chamber Orchestra and Baltimore Symphony Orchestra. Atherton has conducted in Japan, Mexico, Thailand, Taiwan, Canada and England. Leonard Atherton served as the Cover Conductor for the Indianapolis Symphony Orchestra and honored as a Sagamore of the Wabash, Indiana's civilian award, for his service in music to the State. He is a member of the Mentoring Committee of the Conductors Guild and has just handed over the position of Treasurer of the College Orchestra Directors Association. 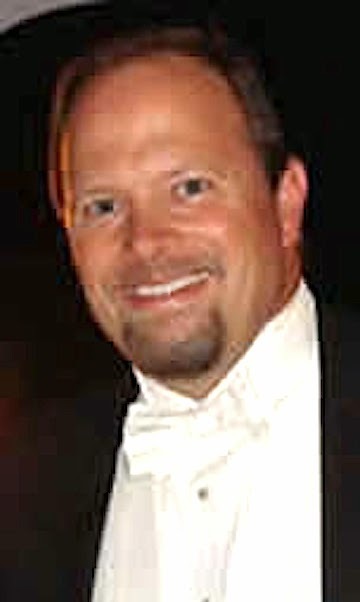 David B. Gardner (choral performance, conducting) (DMA, The University of Arizona) is Director of Choirs at Southwestern College in Winfield, Kansas. He is the recipient of numerous awards, including a second-place finish in the graduate division of the 2001 American Choral Directors Association National Student Conducting Awards Competition. Dr. Gardner's Carnegie Hall conducting debut was in March of 2005, and he appeared there most recently in March of 2010 under the auspices of Distinguished Concerts International, New York. In 2008, the Southwestern College choir sang under his direction during Easter Sunday Mass at the Basilica of St. Mark in Venice. In 2002, he was selected to lead the Grammy Award winning Oregon Bach Festival Choir and Orchestra under the tutelage of Maestro Helmuth Rilling in the Oregon Bach Festival Masterclass in Conducting. Dr. Gardner is the President-Elect for the Kansas chapter of the American Choral Directors Association, and is a charter member of the National Collegiate Choral Organization. Julia Vasquez (instrumental performance, conducting), of Missoula, Montana, has played flute and piccolo in the Missoula Symphony since 1986. Earlier she was piccoloist in Orchestra Iowa and taught at Cornell College. 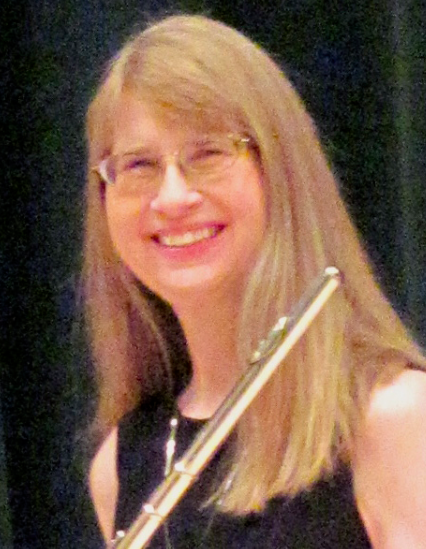 In 2000, she won the Convention Performers Competition and performed Gunther Schuller's Concerto at the National Flute Association's Columbus convention. She was also a winner in this competition in 2007. Vasquez played in the Professional Flute Choir at conventions in Los Angeles and Boston, and was a guest soloist at the National Organ Convention in Chicago in 2006. Most recently, she was guest soloist at two concerts for the Pacific NW Composer's Conference in April 2014. Vasquez has performed extensively as a recitalist and soloist. She teaches flute privately and is principal flutist with the Missoula Children's Community Theatre. She received flute performance degrees from the New England Conservatory of Music and Northern Illinois University.